To view an image, click on an image in the list of available images (by default, the first item is selected). To add more images, click the Add images button. 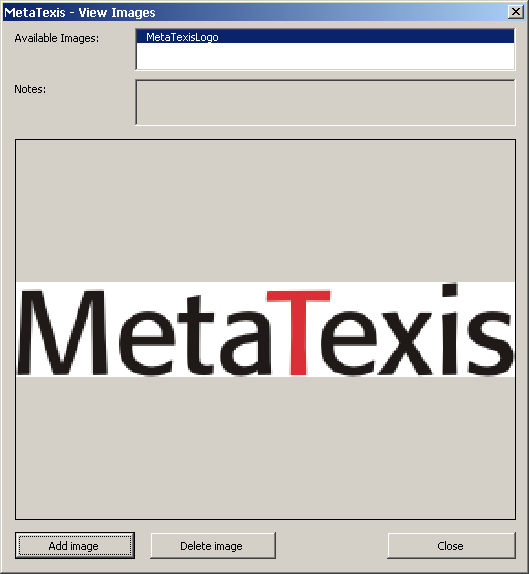 The Add images dialog box will be shown (see above).